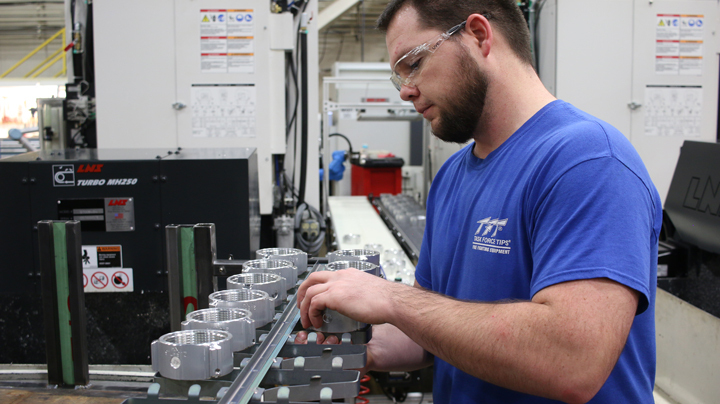 Task Force Tips, a manufacturer of firefighting equipment, wanted to promote and maximize their personnel tending machining cells into more complex tasks while keeping spindle time up and product quality consistent. 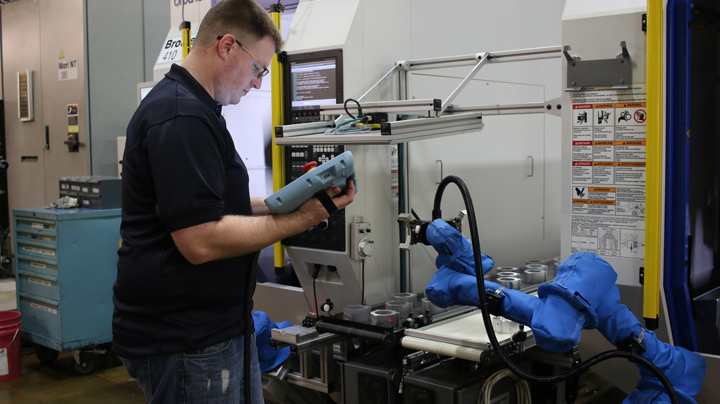 The Indiana-based manufacturer has now installed four collaborative Universal Robots delivering savings resulting in a return on their investment in only 34 days. 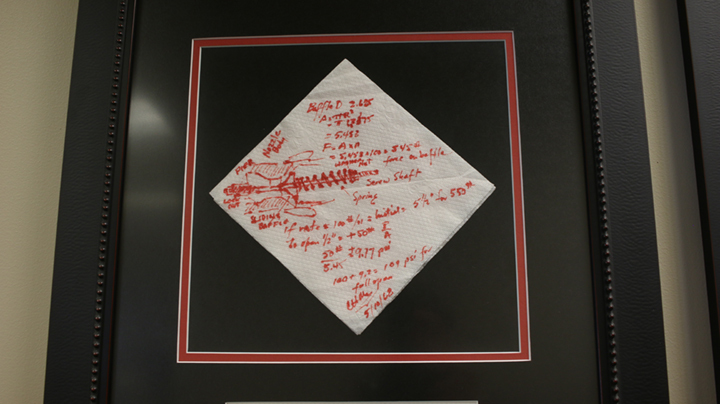 Task Force Tips started on a paper napkin in 1968. “My father had the idea that the world needed more fire nozzles; his family thought he was a little bit crazy, but the idea took hold and we’ve gone from being in the basement of our home, some 40 years ago, to being a worldwide recognized leader in this industry,” says TFT CEO, Stuart McMillan. CEO of Task Force Tips, Stewart McMillan, still remember his father looking up at him with pen in hand saying “Are you sure about this?” when the family-owned company bought their first CNC machine forty years ago. “The auto industry had robots for years because it was the same process every day, all year round. 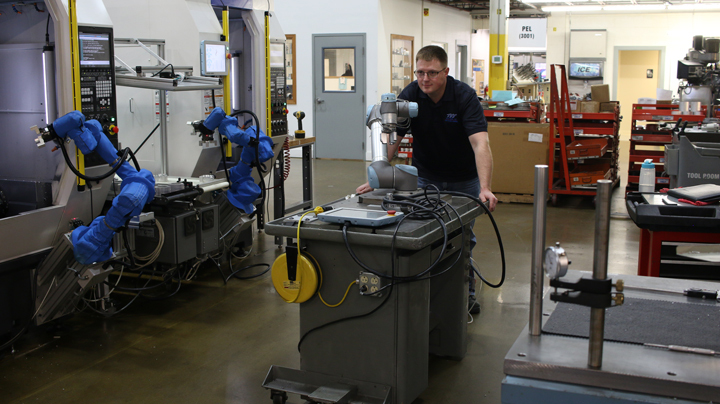 With Universal Robots, automation can be used flexibly and change day by day,” says TFT CEO, Stuart McMillan. His company has mounted a UR5 robot to a table on wheels and now rolls it between tasks on the factory floor. 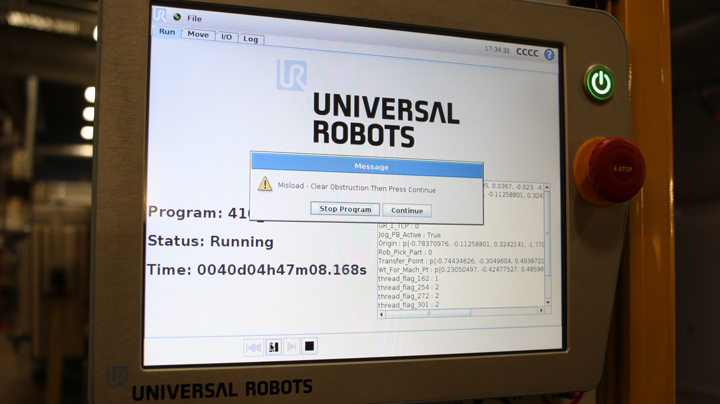 Both the robot handoff and the vision guidance use the MODBUS communication protocol registers in the UR robots controller. 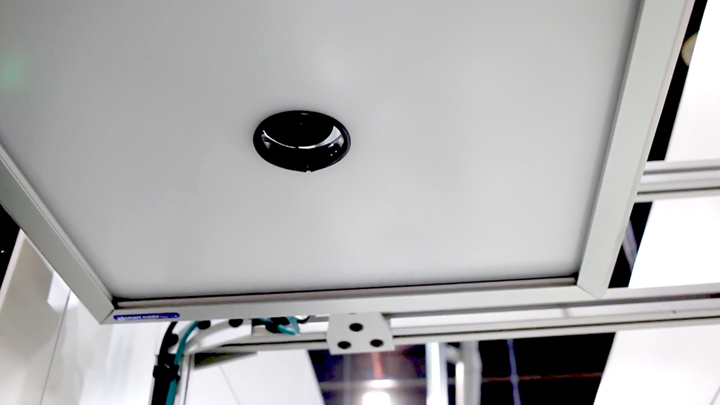 A Cognex In-Sight 7200 vision camera is placed above the inbound conveyor. The light is a LLP-H diffuse ring light from Smart Vision Lights. As blanks arrive, the camera takes pictures of each and sends coordinates for pick-up to the robot through MODBUS. “I would estimate that the robot fixes the “failure to load” issue about three or four times per hour, which has really helped us eliminate downtime. The operator only needs to intervene about once per shift, sometimes never. This is no fault of the robots; it is just the nature of the aluminum we are machining and the type of chips it creates,” explains Hessling. “When our employees are not worried about keeping a machine running all the time, they have a lot more time to visually inspect the machined products. Part quality has really gone to a whole other level with the UR Robot in place, while allowing our personnel to come up with new ideas and better ways to improve our production,” says the TFT Production Supervisor. Task Force Tip’s “roaming” UR5 is being tested in a deburring application. “Right now a person is having to Scotch-Brite a part or deburr a part by hand again and again, taking time away from something else they could be doing, so we are testing concepts for how we’ll use the robots for deburring. We are also looking at packing and shipping parts, and we are talking about using the robots on our laser machine as well. With the price that you can buy the Universal Robot for, it’s stuff that you’re willing to invest in knowing how quickly you can get the ROI back on it,” says Mack. 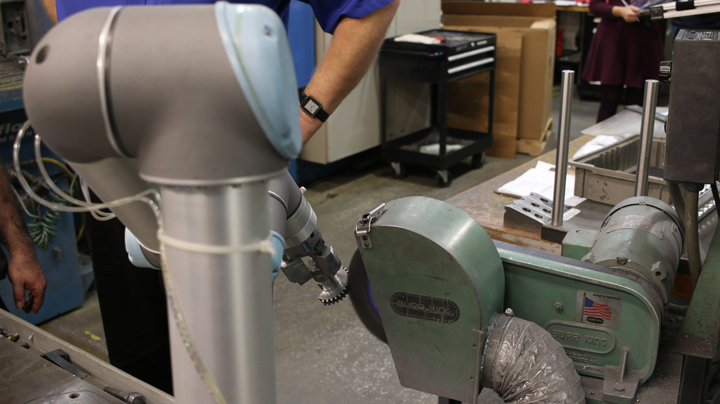 Task Force Tips uses the force detection in the UR robots to identify if the part is misshapen, is burred from the saw cut or if there are machining chips in the chuck jaws. If an obstruction is detected, the robot will apply an air blast to try and clear any debris. If this approach doesn’t solve the issue, an error message will pop up, alerting the operator. An operator places the finished pieces from the outbound conveyor on anodizing racks. Task Force Tips has been able to reduce the amount of personnel required to run the cells from 7 to 3 operators. Task Force Tips tests the finished product. Task Force Tips is a worldwide leader in providing first responders with high quality, innovative agent delivery solutions. 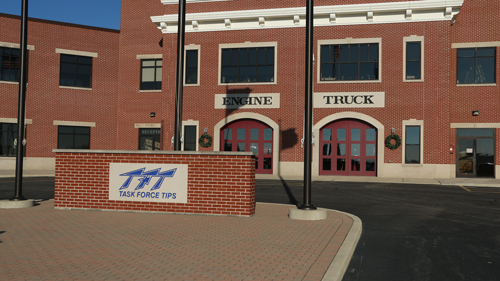 The company based in Valparaiso, Indiana, manufactures a wide range of firefighting and water delivery products for municipal, rural, wildland, and military agencies around the globe. Universal Robots pioneered collaborative robotics and remains a market leader and first mover within this emerging technology. The product portfolio includes the collaborative UR3, UR5 and UR10 robot arms named after their payloads in kilos. Since the first UR robot entered the market in 2008, the company has seen substantial growth with the user-friendly cobots now being sold in more than 50 countries worldwide. Average payback period for UR robots is the fastest in the industry with only 195 days. The company is headquartered in Odense, Denmark, where all development and production is carried out. Regional offices in North America are in Long Island, NY, Dallas, TX, Ann Arbor, MI, and Irvine, CA. www.universal-robots.com.